NO ONE FIGHTS FOR YOU LIKE WARD. NO ONE HANDLES YOUR CASE PERSONALLY LIKE WARD. Call Now for a Free Session. Ward will talk to you about your options. What sets Ward apart as the Dallas Accident Attorney of Choice? We know you have quite a few choices in accident law firms in Dallas and Fort Worth. But this is not the time to blindly choose the first lawyer you find. Just as you wouldn’t go to just any doctor for a serious condition, consider the importance of advice from a seasoned specialist in Texas accidents. Experience why Ward Maedgen was named one of Dallas’ best lawyers. Through the Law Office of B. Ward Maedgen, P.C., Ward takes personal pride in fighting your case as though it were for his own family. He’ll help you through your accident case one-on-one rather than hiding behind call screeners. Talk to Ward today. There’s no cost, and Ward will help you face your case with confidence. There’s no charge to talk to Ward and get your claim off to the right start with a consultation. If you decide to retain us, you will have no costs out of your own pocket for our representation. We’ll work hard for you and you’ll pay the firm ZERO dollars directly, the firm only gets paid if you are paid from a settlement. When you retain Ward’s firm, the Law Office of B. Ward Maedgen, P.C., you get personal council and representation directly from Ward. You won’t get passed off to another firm or outsourced call handler. You can talk to Ward through the process. Every single case is unique. Every insurance company works slightly differently. But one thing is constant; no one on the opposing side of your case is there to make things easy for you. In personal injury law, the more experience an attorney has, the bigger his arsenal. Ward has the hard earned experience that is critical to breaking through the barriers keeping you from your best settlement. Ward won’t shy away from a fight if the other side is keeping you from a legitimately higher settlement. Ward fights for your best interests, not just fast settlements. If a case needs to go to court, you’ll want Ward’s battle tested representation in your corner. It depends on your unique case. 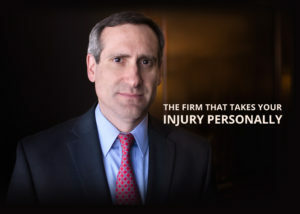 There are over 200 personal injury law firms in the Dallas / Fort Worth area. So how do you know who should represent you? First and foremost, talk to them about their experience. Some firms may assign your case to be lead by a legal assistant or an attorney right out of law school if it is not considered ‘high value’. They may have little to no ACTUAL courtroom experience playing hard ball with insurance adjusters or litigating against companies in court. Additionally, your lawyer may rarely, if ever, be available to talk to you during the process. By contrast, Ward Maedgen has a track record of years of in-the-trenches fighting in and out of the courtroom. Ward knows the Texas court system and he has seen every trick in the book that insurance companies use to fight or delay claims. Ward will treat your case with personal care, not simply hand you off to an assistant to make the decisions. So the best lawyer in Dallas is the one that has the right experience and personal care for your particular case and knows – without doubt – how to handle it right. Call Ward today and find out if he’s the best lawyer in Dallas for your unique case.